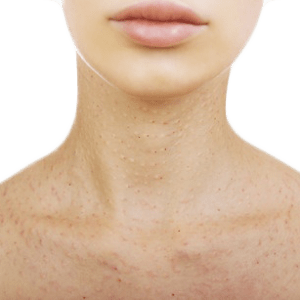 A Neck Lift is a procedure that offers great and dramatic results for removing and tightening the loose skin on your neck. Because the first signs of aging usually appear in the neck area, a neck lift can change your whole appearance and make you look years younger! 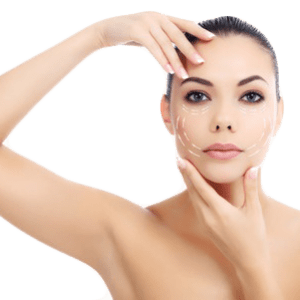 An ideal candidate for neck lift surgery is for those who have lost a significant amount of weight, and those that aging and the sun have taken a toll on their physical appearance and now have excess skin on their necks. If you want to see a significant change in your neck, then a neck lift may be right for you. The objective of the surgery is to improve the look of your neck by removing excess fat and skin. An aging neck may appear as loose or sagging skin below the chin or jaw, and some people may notice the weakening of the platysma muscle and the development of a “turkey neck.” For those with “bands,” the neck lift may involve tightening the platysma muscle, if it has started separating or sagging. 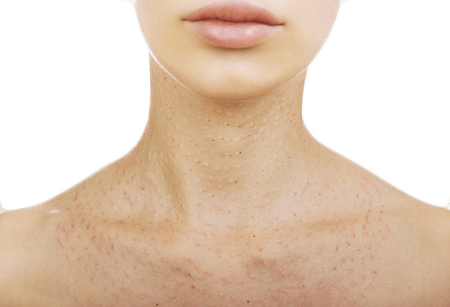 If needed, the neck lift may also include the removal and contouring of neck fat, which is located under the platysma muscle. If you just have excess fat under your chin, liposuction alone may be all you need to enhance the appearance of your neck. With the individual aging, you can lose the definition in your jaw line that you have always had. Obesity, age, and smoking habits are some of the factors the cosmetic surgeon will consider when evaluating a candidate for this procedure. Prior to neck lift surgery, a complete medical history will be taken in order to evaluate the general health of the patient. A careful examination of the neck and face is also conducted. Dr. Farrell will discuss with the patient what can realistically be expected. The procedure, type of anesthesia to be used, and possible risks and complications are also discussed. Preoperative instructions will most likely include the elimination of certain drugs containing aspirin for your safety in order to minimize the possibility of excess bleeding during surgery. Antibiotics may be prescribed prior to surgery to prevent infection. The patient may also be advised to bathe with an antiseptic soap for several days prior to surgery. Before and after pictures will be taken to document the amount of improvement. The neck lift is performed in our state-of-the-art medical facility usually under local anesthesia. Depending on the patient and extent of the surgery, the procedure takes about an hour. Premedication may be administered to relax the patient. The neck is then liposuctioned to remove excess fat, or if there is no fat present, excess skin will be removed. If you are having a skin-only neck lift, Dr. Farrell will make two small incisions under, or behind the ear. He will then loosen and re-drape before removing excess skin. Once excess skin is removed, the incision is then closed with dissolvable sutures and adhesive skin closure strips. Patients may go home after the surgery. Pain or discomfort from the surgery can be controlled with oral medication. 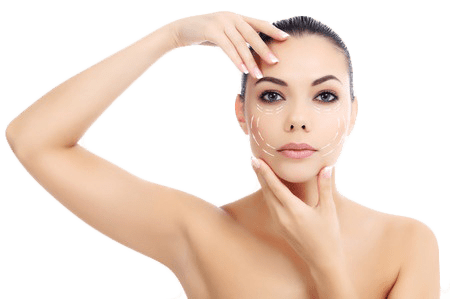 Adhesive skin closure strips that are placed on the patient after surgery will fall off in approximately one week, and the sutures will dissolve by themselves in about six weeks. Special compression garments must be worn for several weeks following surgery. Although patients are usually up and around the day of surgery, the cosmetic surgeon decides when normal activities may be resumed. During this time, patients must refrain from straining themselves, being over-active, and most importantly, heavy lifting. This decision will be based upon the extent of surgery and the patient’s progress. Bruising and swelling around the treated area is normal and will disappear within a few weeks. Scars from the procedure will be apparent, but will fade significantly in time if directions are carefully followed. Each year thousands of neck lifts are successfully performed. The amount of improvement is based upon the individual, the extent of surgery, the patient’s skin tone, body build and healing process. Complications connected with the procedure are rare; however, as with all surgical procedures, there are inherent risks. Possible risks and complications should be thoroughly discussed with the cosmetic surgeon prior to surgery. Patients can minimize the chance of complications by carefully following directions given by the plastic surgeon.